Info: Konchok Tenzin was a monk at Mokri monastery, which he joined at a young age. 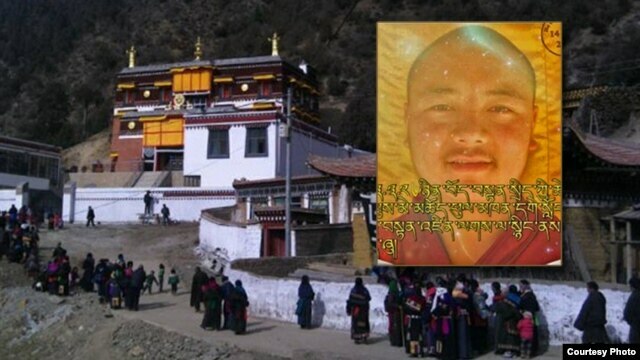 Konchok died in the course of the protest, and his body was taken back to the monastery. In fear that the remains would be confiscated by the authorities, they were cremated the same night, according to Kirti monks in exile, in Dharamsala, India. Following the incident, security forces were deployed around the monastery and nearby villages in large numbers, and a strict crackdown imposed. This is the sixth self -immolation protest in Luchu county so far, and all the protesters involved have died as a result. 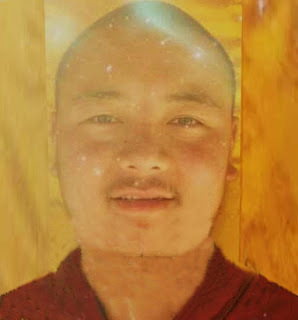 For Kunchok Tenzin, 28 yrs old, a monk from Mogri Monastery in Luchu region, Kanlho, Amdo, Tibet. Your portrait appeared online along with a photo of the monastery on the dry hill surrounded by mountains with dry trees. Friend send me a photo of a 2500 yrs old Tibetan cypress. Cypress is also called a sun tree. I wish that your will will stay in our minds for that long, like this tree blessing and protecting your land and people. 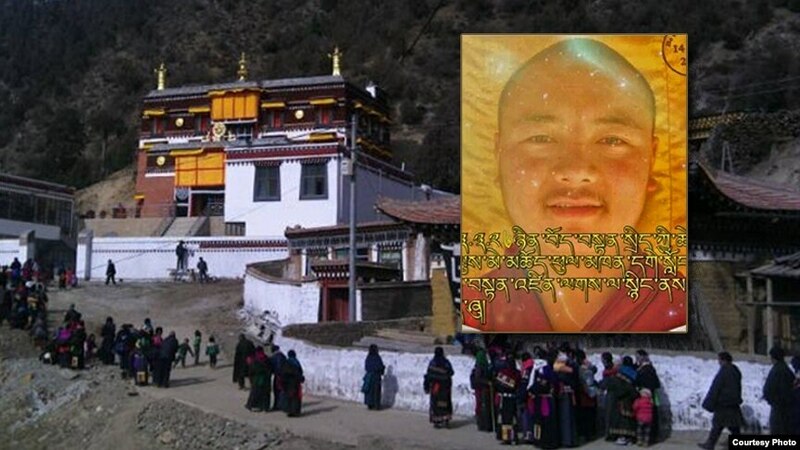 On March 26, 2013, 7 PM, at Luchu prefecture, monk Konchok Tenzin, 27, from Mogri monastery, set himself on fire and died in protest against Chinese brutal occupation of Tibet and its repressive policy nearby Mogri monastery on the crossroads of the main street. 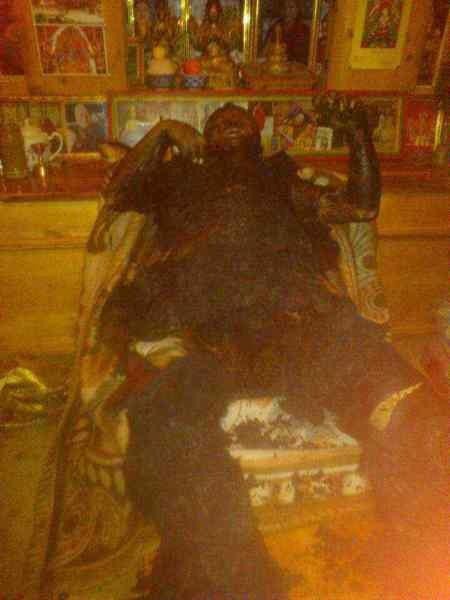 His body was transported inside his monastery, were his cremation was performed during the night, by fear that the body could be forcibly taken by Chinese police. As this news emerged, many people from nearby willages came to protect the body from the police. Konchok Tenzin is native from Mogri district, as well as his father Lhakho and mother Lhamo Tso. He is the youngest of seven children they had. He became monk as a small child in Mogri monastery. Presently, he was giving classes of general culture and buddhist doctrine in the monastery.